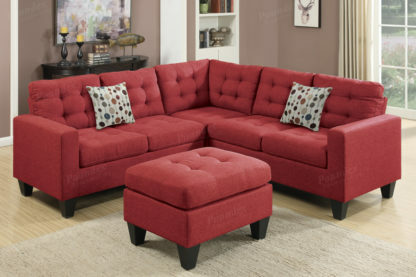 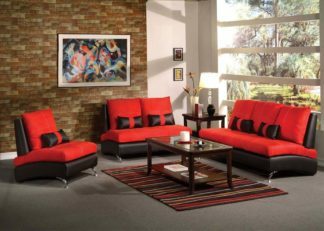 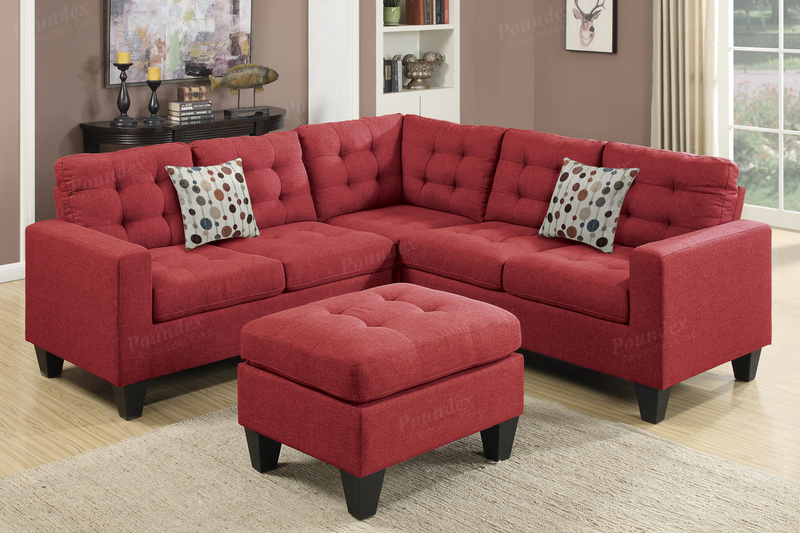 A handsome design of vibrant colors and sleek textures, this 4-piece modular sectional is the perfect addition for gathering friends and family on any occasion. 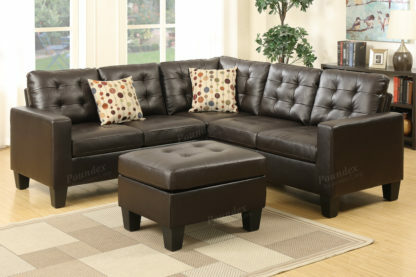 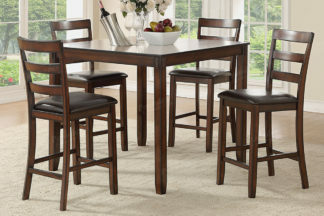 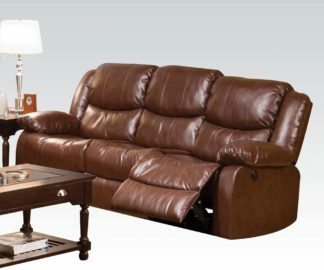 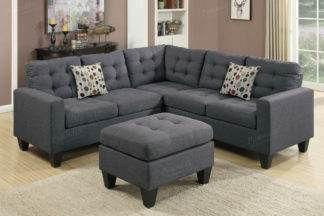 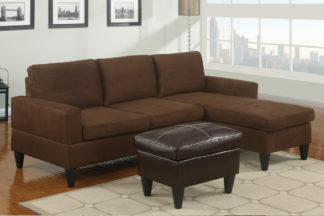 Featuring upholstery of bonded leather and accent tufting, this collection also comes with accents pillows and a matching cocktail ottoman. 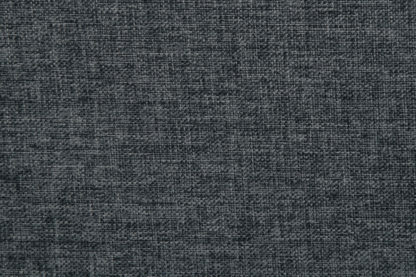 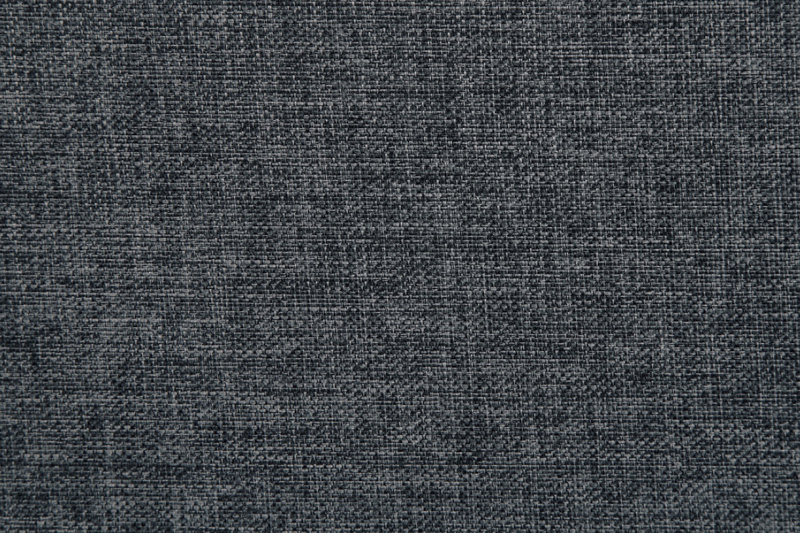 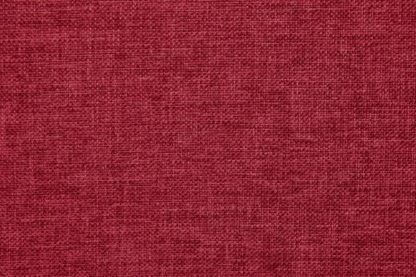 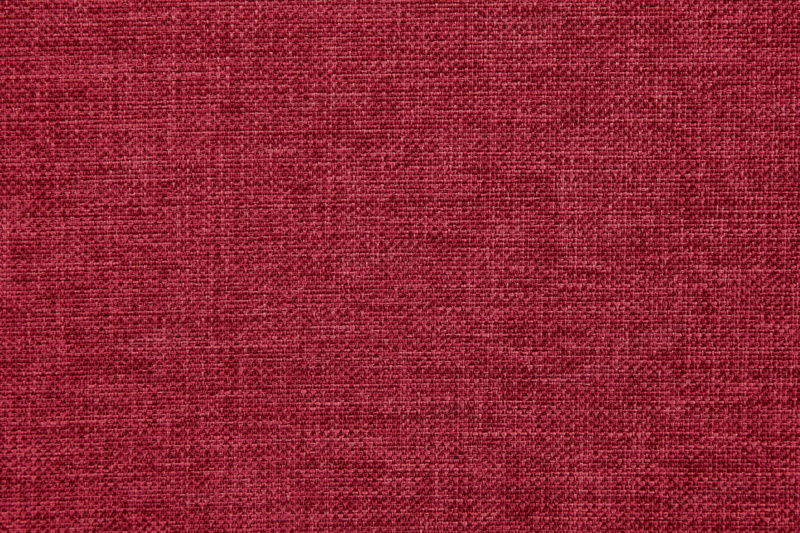 Available in blue grey, carmine polyfiber. 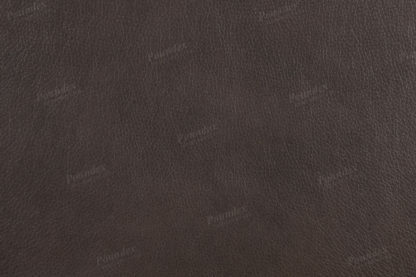 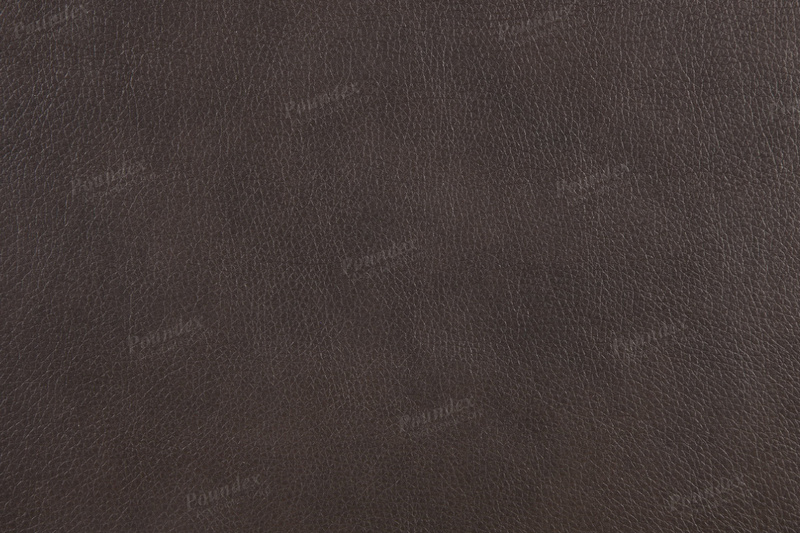 and bonded leather Espresso.